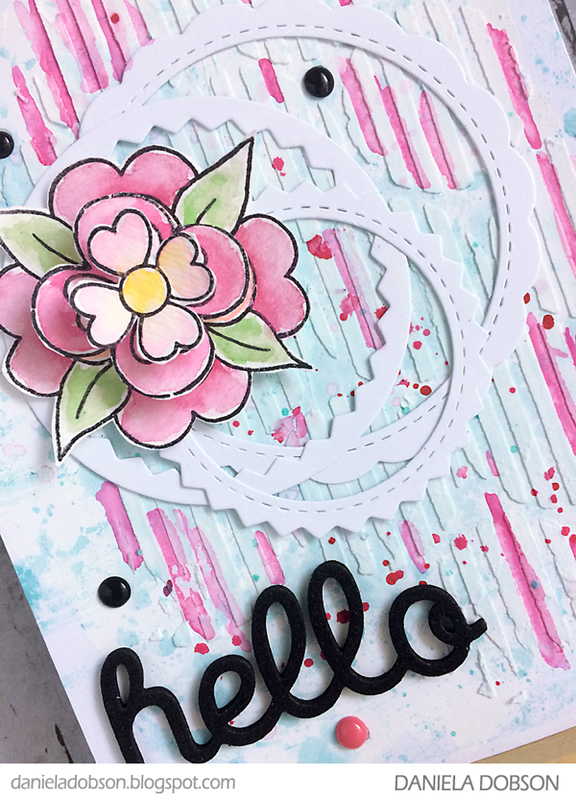 Hi and welcome to StencilGirl/Impression Obsession Blog Hop. Here is a card I created using StencilGirl Striped Circles 6 stencil. I stamped the background with Painted Stripes Cover-a-card Background stamp. I know, It's hard to see, but it's there. I wanted it to be light. I used white gesso to paint over the card front. I used Ranger Distress stain to add some blue color to the background. Love those layers. Then, I applied Whipped Spackle with Striped Circles 6 stencil. Once that was dry, I added pink watercolor and pink splatters. I stamped the flower from Fun Flowers on watercolor paper three times. I painted the layers with watercolor and then cut each section out. I layered them with 3D Foam squares from Therm O Web. The circles are from All In One Frames - Circles. I arranged them and then added the fussy cut flower. I die cut Hello from black foam that is backed with adhesive. 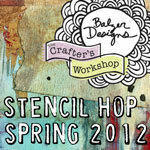 Make sure you visit StencilGirl Talk tomorrow for a new hop list. Really fresh and pretty, love it! Happy, pretty and creamy like cake frosting! Beautiful card! What a gorgeous design. The combination of elements is nothing short of amazing. Lovely work. Oh that's just super cute! Love all the layers too. Lovely fresh colours - mixed media does not have to be dark. Oh how fun this must have been . Beautiful. This is so gorgeous. I love the colors and texture! Love your gorgeous card. Great stamps and stencils. absolutely beautiful !!! 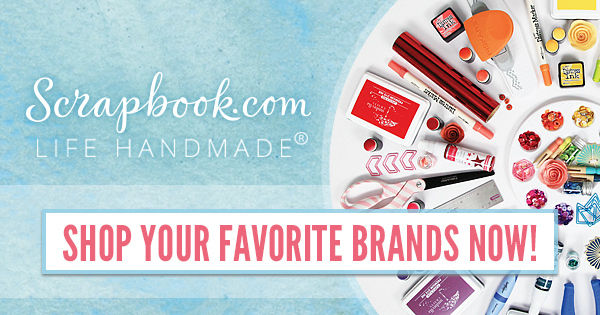 I love how you created a totally different feel with Seth's products so fun ! What a delightful card! So fresh and pretty! I love your colors! Cool idea with the spackle! Lovely sweet card! Great melding of really different elements. Fresh idea for card makers. What a great card! I love the bright happy colors and all of the texture you got... so fun! Never thought about using spackle or modeling paste on a card. Thank you for the idea! Such a sweet card! Looks like ice cream and frosting, just love it! Such a pretty card! I especially enjoy the drips in hot pink & how it matches the 3-D flowers! I love the layers you have created. 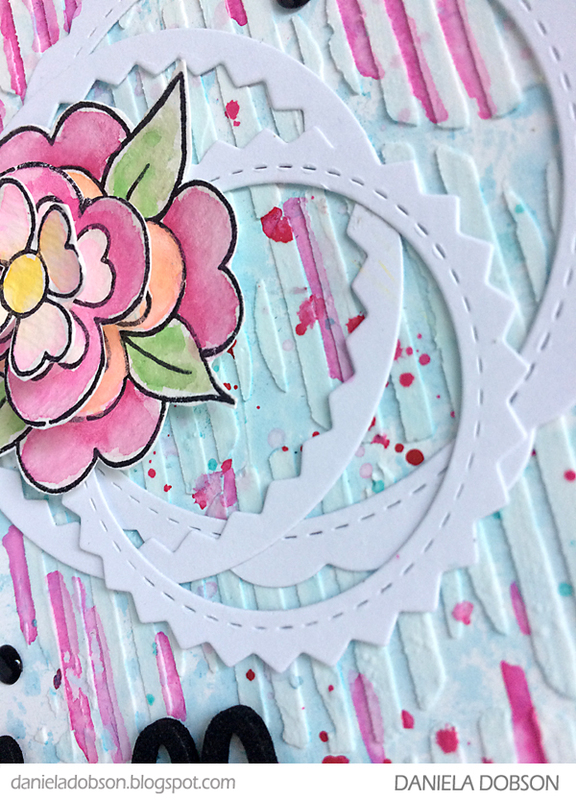 The vertical modeling paste lines are the perfect background for the dimensional flower and circle shapes. Well done. The add ins just make this card great! What a pretty card. I love the colors you used and the stripes. LOVE the background! Such gorgeous colors too! Fantastic colour and texture is this lovely card, Daniela! IO stamps and Stencil Girl stencils work so well together! So original & pretty .... Great project! I've just recently come to card-making with all these fabulous tools. You've done an awesome job. it's perfect! I cant imagine any element being taken away - it really "fits!" I am not a card maker, but seeing your creation makes me wish that I was! Cute card, I love flowers and the mega mount stamps. You and I could create together!!! Beautiful! I am a huge fan of your amazing and creative style! Lovely card. Your palette is soft and refreshing. 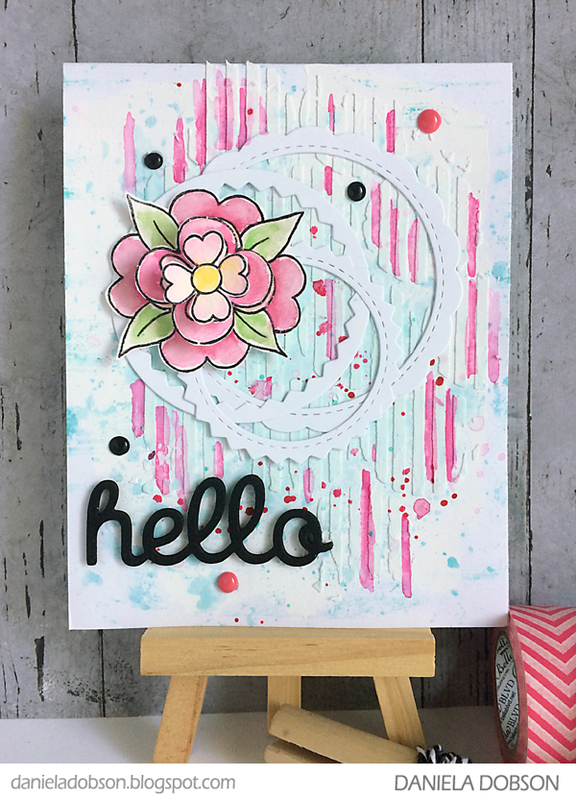 Love the texture you created with the Whipped Spackle and the Striped Circles 6 stencil. This card has it all; great colors and texture. Very pretty colors and I like the texture. Gorgeous card. I love all the texture in it. Love how bright and cheerful this is and I love texture! Your background is so delicate, perfect for you beautiful card. This a whole different way to use the background stamps. Thanks for the inspiration! 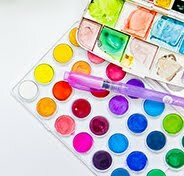 I'm a card maker and this shows me how to use stencils in that way. 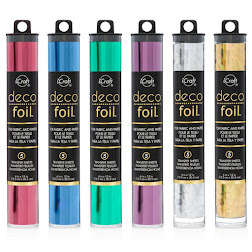 Great to see your use with the stencils and also great to see in your own unique style! 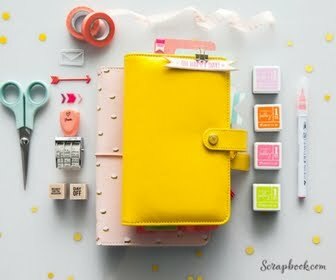 This is so bright and cheerful! I love your pretty colors! Fun use of the stencils and dies - love your project and thanks for the giveaway. This is so bright and cheerful! I love your pretty colors! Thanks for sharing. How sweet and gentle! I really love your color choices! I like the watercolors on this - very pretty! Wonderful colors, and fun way to use stencils and die cuts. Very pretty card. I love the striped background and the die cut circles. Beautiful card! I always find your backgrounds interesting, whether it is stamping with IO stamps or doing texture work like you have done here! Thanks for sharing. Lovely care and a truly liked your unique background. TFS! Love your card! It's really sweet. Love all the colors in your card. Great ideas. reminds me of a birthday cake! my backgrounds. Love the striping. Great project! Thanks for the chance to win. This is fantastic, Daniela! I love the background you created, the 3 circles, and the dimensional flower! So fresh and playful!! Awesome layers and textures! Love the circle dies you used! Love all the color and texture in this card. Gorgeous, I knew you would have an amazing creation and you didn't disappoint...love it! super sweet card..love, love the interest you added behind the images. Neat to use the circles as elements instead of just frames. I LOVE your work - thanks for sharing!! Darling card - love the texture and layers. Oh wow--think this is my favorite of all! Stunningly beautiful & feminine! What a stunning and beautiful mkxed media card! Love your background.